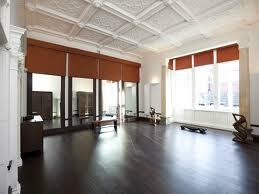 Traditional and opulent with a bit of Hollywood glamour thrown in for good measure. 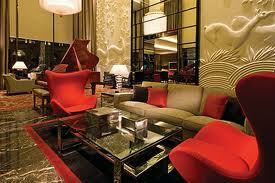 As you walk into the hotel you are immersed in the scent of a breathtaking amount of roses, lilies and hyacinths. 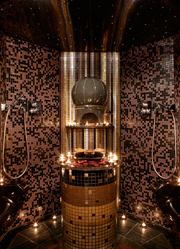 The Mary Fox-Linton designed spa is an art-deco inspired homage; cream walls, a chandelier made of 72,000 South Pacific pearls, a grounding sapphire blue and white relaxation room. 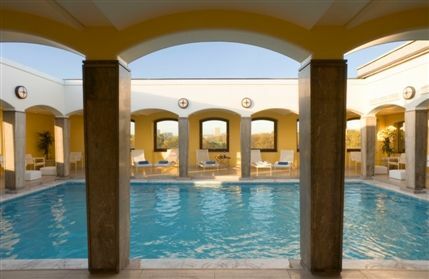 There are eucalyptus-infused steam rooms and the treatments include massages by Aromatherapy Associates and signature facials by Carol Joy and the ever popular Kerstin Florian and hair by Royston Blythe. 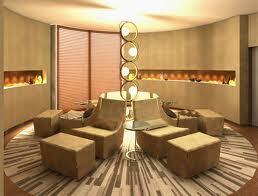 After your treatment relax in the Spatisserie with a glass of champagne. 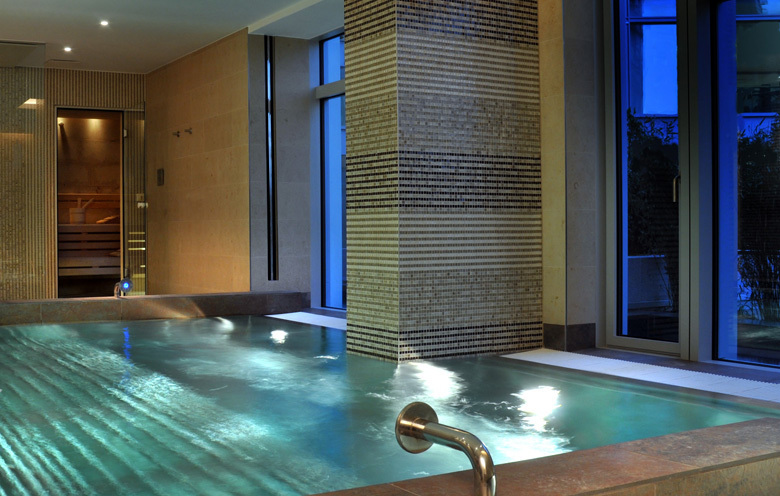 Enjoy the ultimate spa experience in our exclusive Sky Suite. 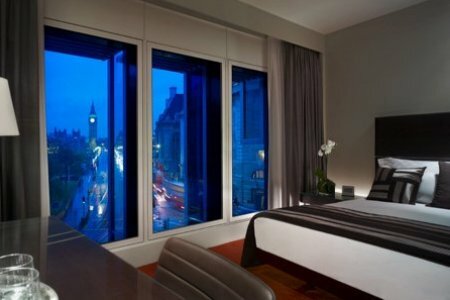 With stunning views over Hyde Park and Park Lane, let your worries get lost in the clouds. This indulgent escape allows you to relax and unwind in a serene spa setting that includes a private double steam shower, separate dressing room and a relaxation area to provide the utmost luxury for you and a loved one. 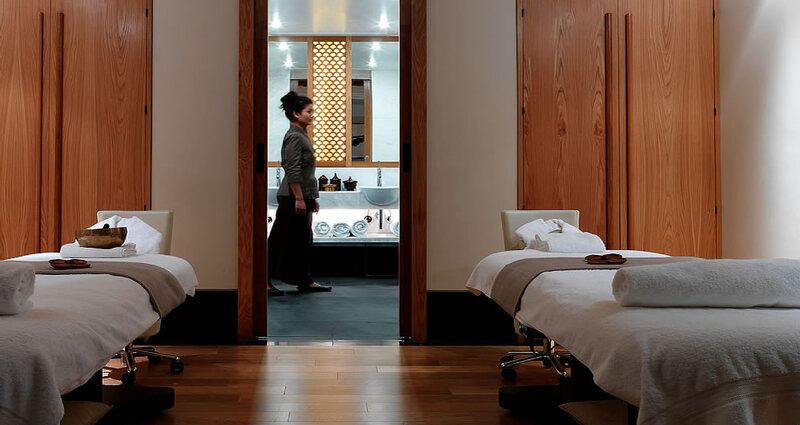 Sleek, contemporary and glass-walled, the Spa’s design features an organic blend of dark wood and light stone in perfect harmony with the natural elements of Hyde Park. 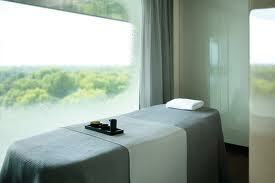 Among the nine treatment rooms is an ultra-luxurious double suite with 180-degree views. 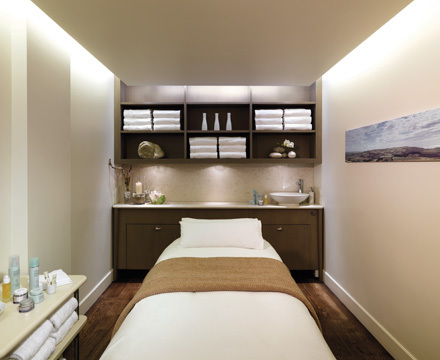 Each treatment room has its own individual relaxation pod – a private sanctuary that allows guests to prolong the post-treatment tranquillity. Men’s and women’s changing rooms each feature a skylit vitality pool, steam rooms and saunas with floor-to-ceiling windows overlooking London. A spa in the heart of London – a stone’s throw from the Houses of Parliament and in the shadow of Big Ben - is the last place you would expect to indulge in a traditional Balinese massage. Mandara Spa has literally brought the spirit of Bali to Britain and this is evident to guests who are all greeted with a warm smile. You can select your own essential oil for your massage – ranging from Calming, Comforting, Sensual and Energising to suit your mood. 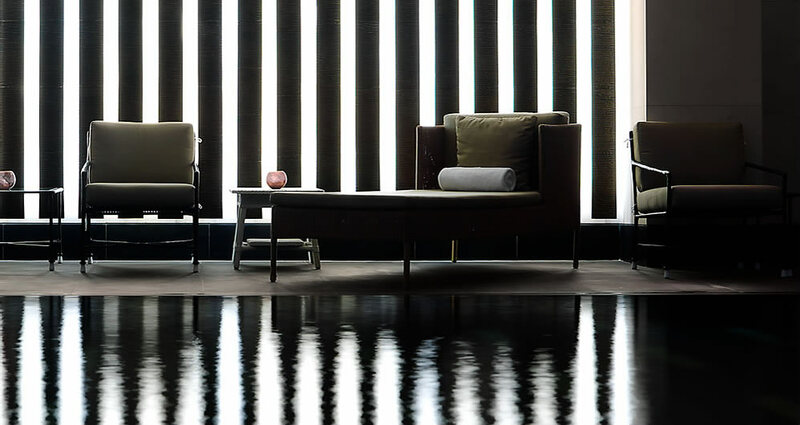 Inspired by the exciting modern lines of the Park Plaza hotel, the brief for the Mandara Spa interiors was to mirror the feel of the hotel with a contemporary twist, whilst maintaining the luxurious touch of Asia. The 700 square metre Mandara Spa offers guests a unique sensory experience, inviting you to escape your world, and indulge in a Mandara moment. 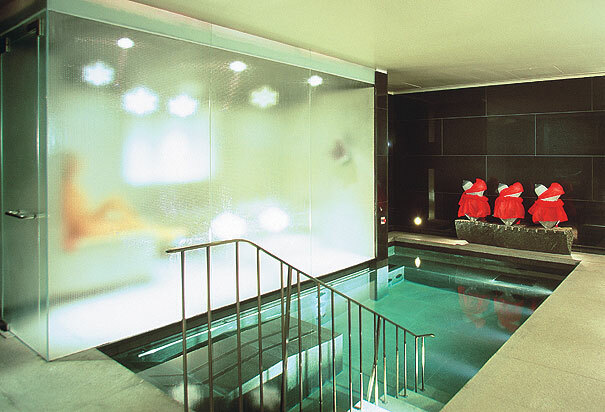 As you walk up to the spectacular home of The Mandarin Oriental, doormen in red coats usher you into a world of marbled opulence, setting the bar high for the spa experience to follow – and it doesn’t disappoint. 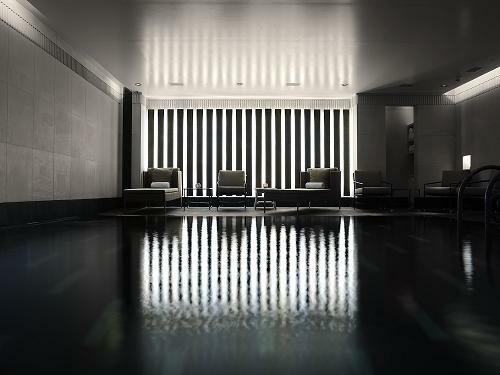 Having recently been voted “Best UK Hotel Spa” by Condé Nast Traveller, it is a decadent experience that draws on the brand’s Asian heritage. Set in the basement, the clean, stone finishing and statues of Asian gods complement a softly lit Jacuzzi, steam room and solarium, as well as a tranquil relaxation area. 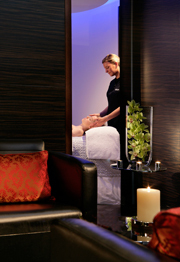 Using ESPA products, the treatments are each tailored towards the individual, from the deep tissue massage, which uses fragrant ESPA oils, to the pampering pedicures, which are done while the guest lies on a heated bed. The St Pancras Renaissance is a London icon and a model of modern hospitality. Behind the fairytale façade that Sir George Gilbert Scott fashioned for the Midland Grand is a 5-star London hotel like no other - one that mingles Victorian splendour with contemporary style and service. Step inside the spectacular glazed entrance hall where Victorian high society once alighted from horse-drawn cabs, and glide down the famous grand staircase to dinner in the Gilbert Scott Restaurant, the brilliant, fresh brasserie cuisine of Marcus Wareing awaits. 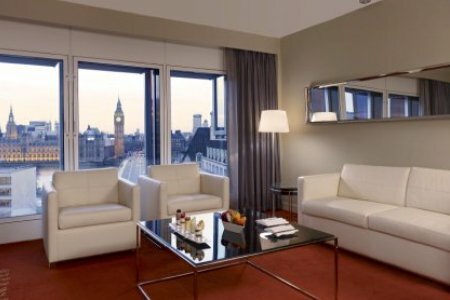 Our luxury London hotel hosts 245 guest rooms, including 38 beautifully restored and updated suites. The Spa is a sumptuous, subterranean sanctuary… with six luxurious treatment rooms equipped for total sensory transportation. The couple’s suite enables you to share the feeling of pure relaxation, experiencing treatments together in your own room. 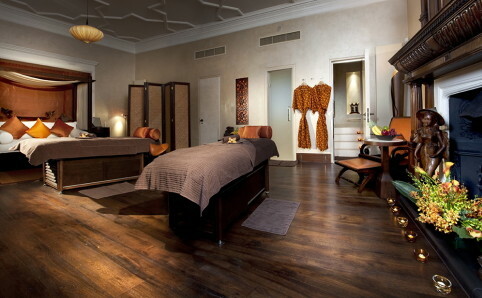 The Aman Spa is the first spa to open outside of an Aman resort and is already a huge hit. 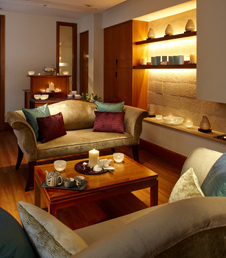 The spa is decorated with natural light wood, clean lines and subtle lighting to keep the focus on complete relaxation. 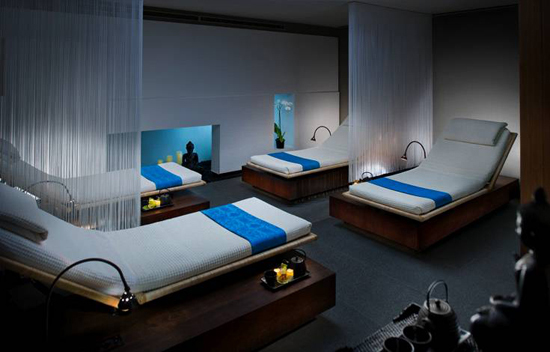 Treatments are inspired by countries where Aman has a presence, including India, China, Thailand and Native America. All products and techniques used in these treatments are then sourced from their country of origin. 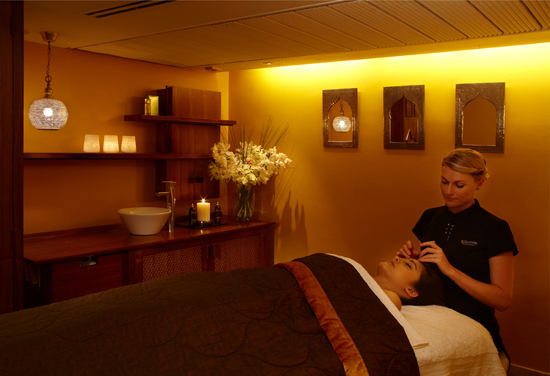 The “Inspired by India” treatment is the ultimate of these experiences for complete relaxation. With a deeply meditative approach, the experience aims to balance the energies of the body leaving you feeling “calm and harmonised”. The experience begins with an aromatic Indian footbath, followed by a body scrub with relaxing essential oils, a Chakra balancing treatment and a Samadara facial. This cool and elegant urban retreat has a Middle Eastern vibe with deep mahogany furnishings and mosaic tiled treatment rooms. A specialty of the spa is the steam temple, a treatment where a combination of mud and clay is applied to the body and face and then left to be absorbed by the skin as guests sit in a crystal steam room. The ocean wrap is also a must try. Clay and then oil are applied to the skin before cocooning the body in a wrap and lowering the guest into a dry floatation tank for the ultimate relaxing experience. 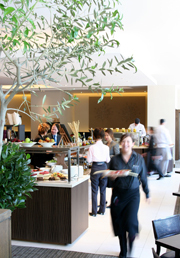 The Elemis facials are also expertly executed, with special day packages, such as the “English Rose” experience tailored to include local products and oils. 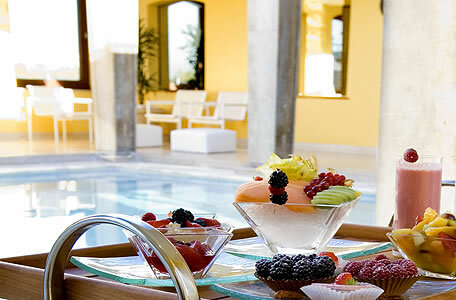 The spa cuisine is the perfect way to end the experience. Bento boxes of healthy, wholesome lunches are offered along with a glass of Champagne to complete the pampering. 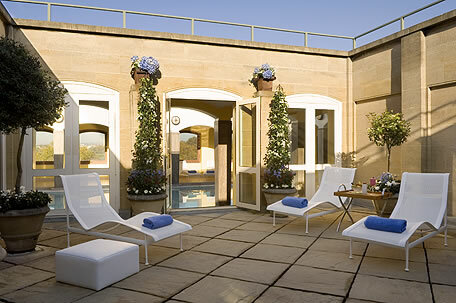 Don’t visit the spa without dipping your toe in the pool…The Berkeley has a fabulous rooftop pool overlooking Knightsbridge. Surrounded by white pillars, with classic aqua tiling, this spa is an oasis of calm that feels more like a rustic countryside getaway. Using [comfort zone] products, most of the treatments provide a classic spa experience. The “ultimate spa ritual for her” starts with a rejuvenating fruit full body peel, which is left to naturally absorb dead skin cells and is then showered off to reveal incredibly smooth skin. Essential oils are then massaged into the body and a customised facial hydrates the skin leaving it glowing. The Spa in Dolphin Square, London SW1, is the capital’s newest luxury spa and the only one in London where guests can have a complete immersion in the age old cleansing and purifying rituals of a true Moroccan Hammam, Rhassoul and Salt Infused Steam Room. Dedicated Spa Mentors guide each guest through the bespoke yet affordable treatment menu to ensure they get maximum benefit from their spa and or studio treatments. 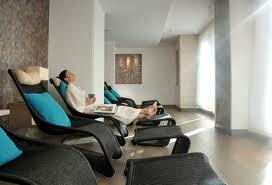 Spa-goers have access to Dolphin Sports & Fitness Club, Calmer Clinic and private parking when booked in advance. 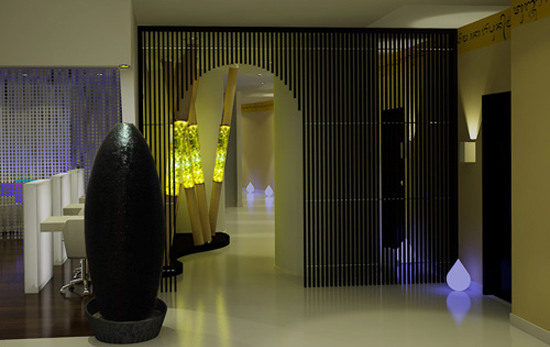 Situated in the heart of Mayfair, London, the Elemis day-spa is a sensory space for men and women to escape from the stress and pressures of everyday life. From the minute you enter you will be taken on a unique journey that has been created only for you. 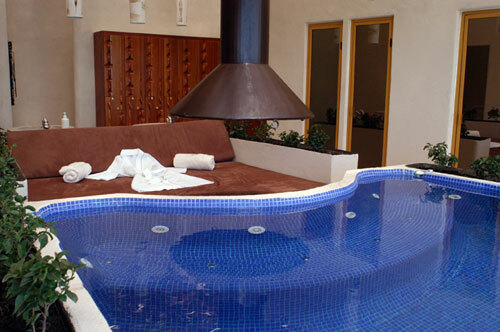 Your suite becomes your private sanctuary, where your therapist delivers lifestyle solutions tailored only to you. From 'power-boosting' anti-ageing facials to hands-on body therapies; from male grooming and detox programmes to mother-to-be. 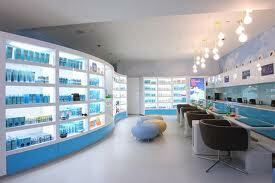 Elemis brings you a premium product combined with the highest quality therapy. 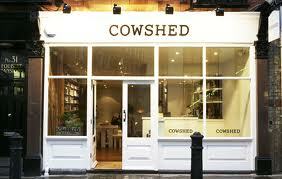 The Cowshed has been a buzzword in London since its launch in 1998, thanks to its social approach to day spas. Combining a coffee shop with a day spa, it’s a place to meet friends, eat homemade cupcakes, drink coffee and enjoy a spot of social grooming. 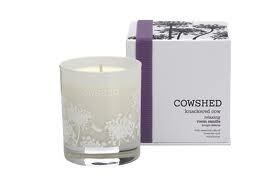 The Cowshed facial is highly recommended – a hydrating treatment that uses SkinCeuticals products, a brand that pioneered the original topical vitamin C formula that protects skin from premature signs of ageing caused by environmental damage. It’s a classic facial programme, with cleansing, toning, steam extraction, scrub and mask and has fantastic results, leaving you feeling cleansed andhydrated. Bliss is a truly unique experience and the ultimate hen party destination. Guests are lead through the signature aqua and white pedicure area to wait in the relaxation room where there are trays of warm chocolate brownies, cheese platters which can be washed down with a glass of wine. The treatment approach is to focus on results, so the latest modern technology is used in facials, including microdermabrasion, extraction using Bliss’ patented “pore-fector gadget”, and a triple oxygen mask that bubbles on the skin pushing moisture deep into the pores. The results are truly incredible; fine lines are visibly reduced from the moment you step off the treatment bed and you leave the spa looking considerably younger and healthier. Since its launch in 1995, Liz Earle has developed a huge following of dedicated fans. 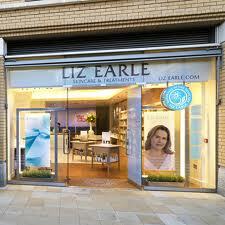 Liz Earle is a renowned specialist in botanical ingredients, natural health and wellbeing. As a beauty editor, author of more than 30 books and a TV presenter, she became a respected authority in these areas and decided to launch her own range of products using naturally active ingredients. 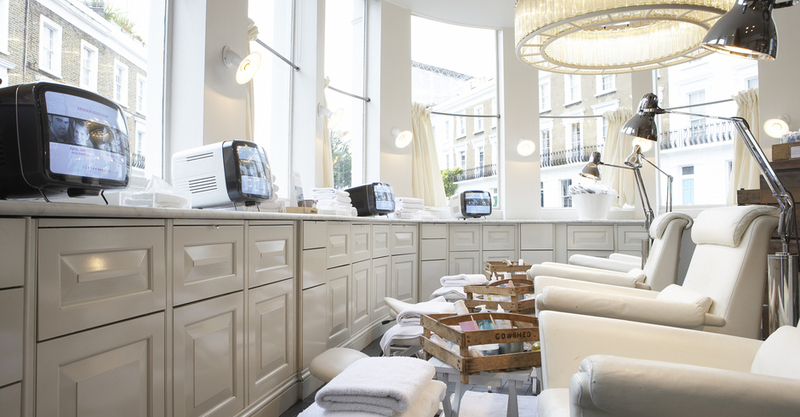 Located at the flagship store just off the bustling King’s Road, a trip to the Liz Earle Treatment Rooms will take you via street cafés and fabulous boutiques, making it a destination must-visit in itself. The décor is an extension of the brand values, with simple natural white-washed wood complementing the friendly fresh-faced therapists. There is a range of bespoke naturally active skincare treatments available with a focus on personal pampering. 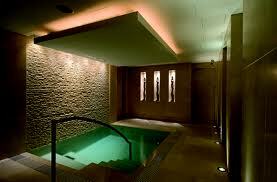 A Malaysian day spa in Chelsea, Ushvani is one of London’s most luxurious day spas. Guided by the principles of nurture, total well being, relaxation and healthy indulgence, Ushvani aims to bring the exotic treatments and levels of service from Asia to London. Its range of treatments called “enhancements” focus on end results but also use natural ingredients to create a relaxing experience. It includes an indulgent cocoa and coffee scrub for ultimate skin hydration or a detoxifying ginger and kaffir lime scrub. These treatments are then followed by body wraps of cocoa, coconut milk, hibiscus or banana and honey. The entire experience brings guests a little closer to nature and has fantastic results.